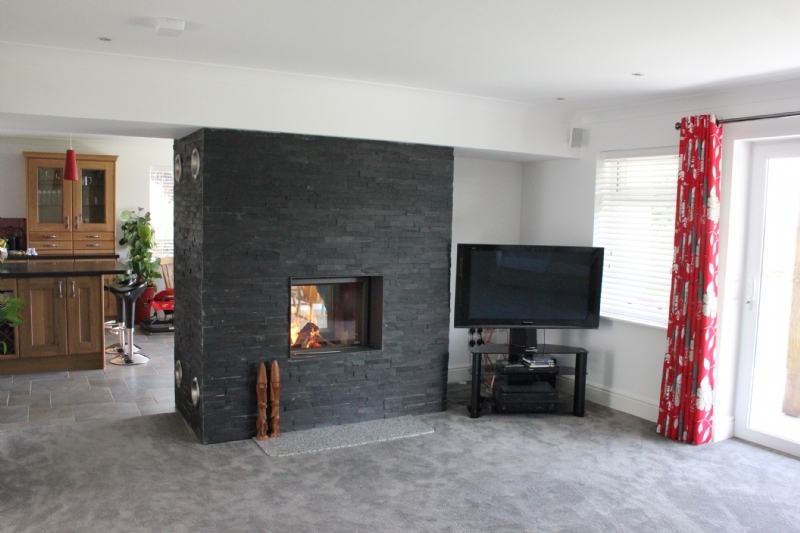 Stuv 21-75 double sided installation wood burning stove installation from Kernow Fires. 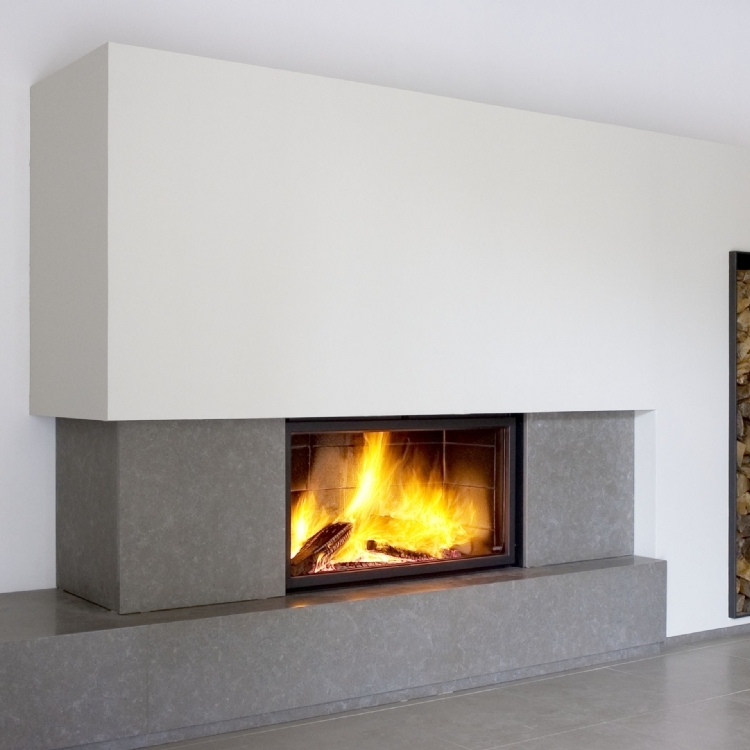 Customers Aspirations: A sleek double sided woodburner to which you can add wood to and receive heat from in two rooms. 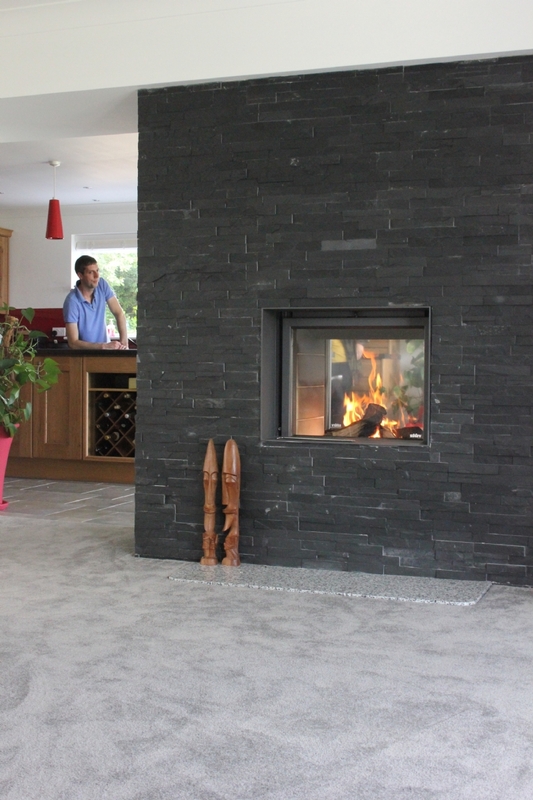 Special requirements: Producing a platform to the correct height required, Bespoke frames for both sides of the fire. 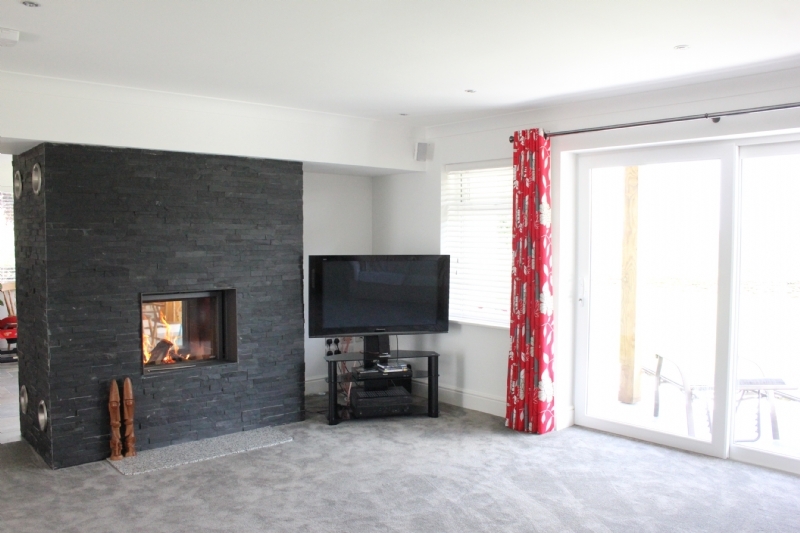 The Stuv 21-75 provides heat throughout the kitchen and lounge of this busy families new build home. 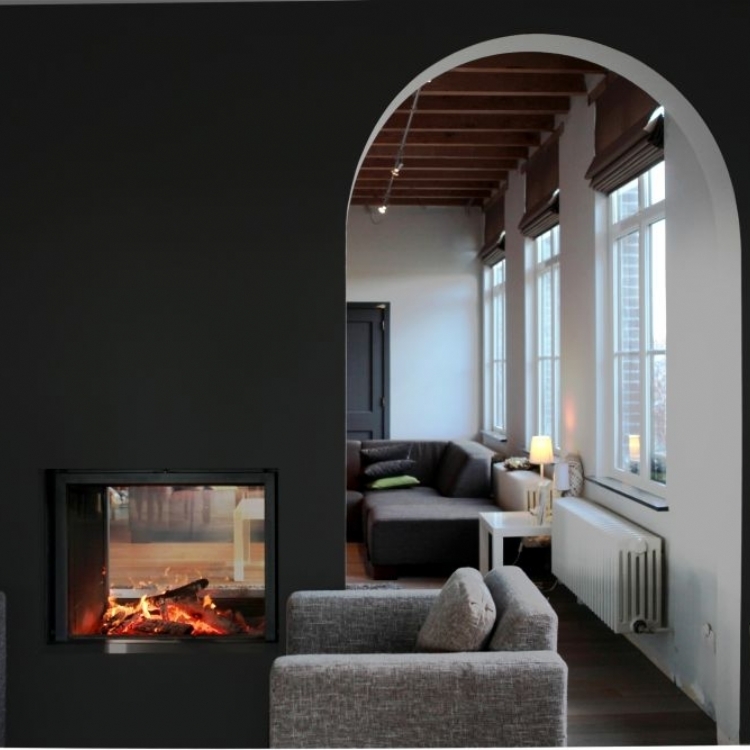 Venting on the side wall helps to keep the air circulating through the area with cold air being drawn into the cavity at the base and warm air being released through the top air vents. 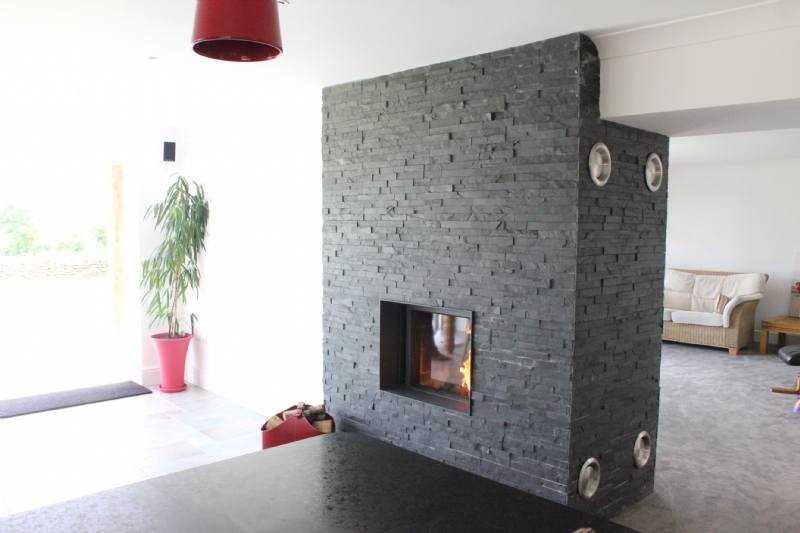 The slate cladding gives the wall a lovely textured finish which complements the sleek finish and sliding doors of the double sided fire.